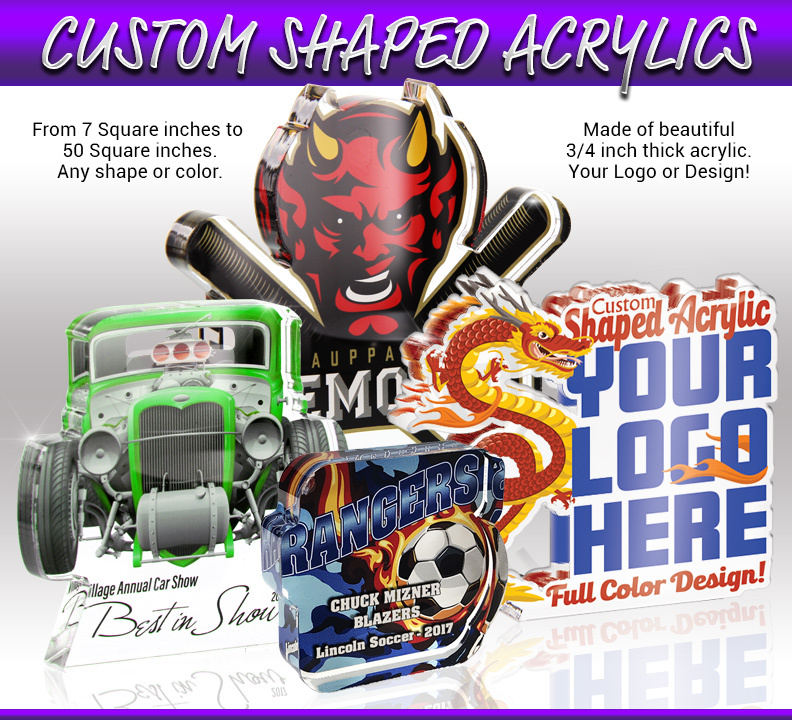 Impress your recipients with a full color, custom shaped acrylic award. It's truly a gift to remember! With sizes ranging from 7 to 50 square inches. There's a size perfect for your needs and budget. Made with 3/4" thick clear acrylic. up to 7 sq. in. up to 16 sq. in. up to 25 sq. in. up to 30 sq. in. up to 36 sq. in. up to 50 sq. in. up to 80 sq. in. up to 100 sq. in.